Real Madrid’s Cristiano Ronaldo, Barcelona’s Lionel Messi and Paris St-Germain’s Neymar comprise the 2017 FIFA Best Men’s Player shortlist. Fifa made the announcement during a special media event in London that had legends Andriy Shevchenko, Peter Shilton, Jay Jay Okocha, Alex Scott and Roberto Di Matteo in attendance. 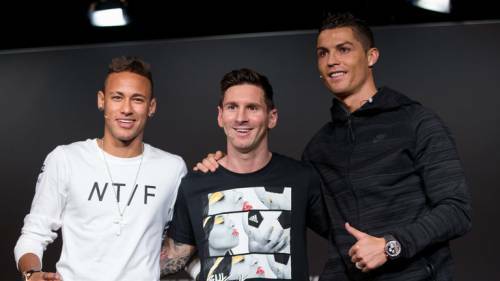 Ronaldo won the inaugural award last year, ahead of Messi with Neymar fourth behind Atletico’s Antoine Griezmann. Chelsea’s Antonio Conte is up against Real Madrid’s Zinedine Zidane and Juventus’ Massimiliano Allegri for the men’s coach award after leading the Blues to the English Premier League title in his first season at Stamford Bridge. Holder Carli Lloyd is again nominated for the women’s player award. She is up against Lieke Martens, who scored three goals in the Netherlands’ triumphant Euro 2017 campaign, and Venezuela striker Deyna Castellanos. Arsenal striker Olivier Giroud‘s ‘scorpion kick’ volley against Crystal Palace in January and former Chelsea midfielder Nemanja Matic‘s fierce long-range effort in the FA Cup semi-final against Tottenham in May are nominated for the Puskas Award for the year’s best goal. The intricate team goal that rounded off Celtic’s 5-2 win over St Johnstone and Moussa Dembele‘s hat-trick in February is also in the running. 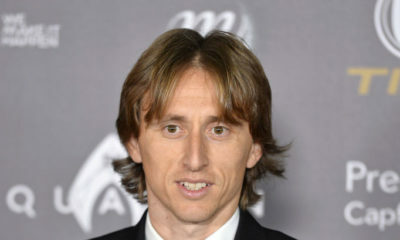 The panel to decide the Best Men’s Player includes Cafu, Landon Donovan, Enzo Francescoli, Diego Maradona, Carles Puyol, Carlos Valderrama and Edwin van der Sar. Another win for Ronaldo for what he’s won in the past one year.